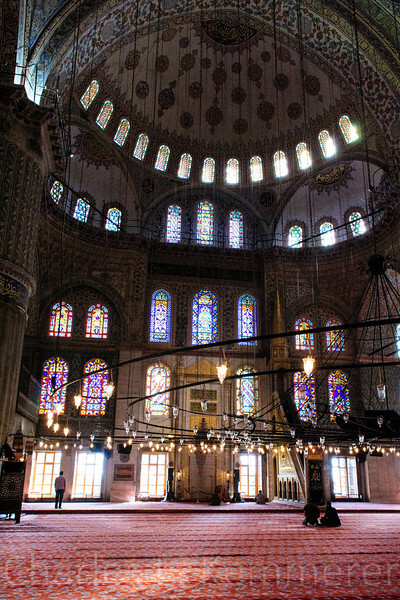 Inside the Blue Mosque, they were very accommodating. If men had on shorts, they gave them a skirt to wear as well as shawls for women's heads. But we came prepared.